A wolf saunters his way through the woods after eating a fine and wondrous meal and decides to see what the animals of the forest think of him to satisfy his enormous ego. 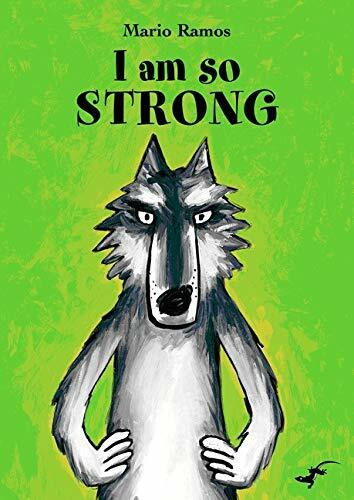 So when he spies a cute little rabbit and asks him who is the strongest in the woods, of course the tiny thing is going to say that he (the wolf) is. Satisfied, the wolf arrogantly lumbers away in search of more compliments. He comes across Little Red Riding Hood, who, upon being asked who was the strongest in the woods, gladly agrees that it is the wolf. This goes on the same way for a while until the wolf spies an odd looking toad. When asked the same question—“Who is the strongest animal in the woods?”—the toad’s answer is not what the wolf expects. The toad answers that his mother is the strongest in the woods. But what kind of mother is she that he can make such a boast? This is a story that speaks the truth about how an ego out of control can cause all sorts of problems. Some people thrive on bullying those smaller than they, because it makes them feel better about their own shortcomings. But when the bully comprehends that s/he is indeed not the most fabulous in whatever the subject may be, getting a comeuppance, their ego knocked back down to size, can cause a change in how to treat others. This story also exemplifies how sticking together as a group can deter bullying—but having an enormous mother the size of a tall building helps, too. Children of all ages will enjoy this 34-page hardcover picture book. The storyline and illustrations are simple, and kids will relish in the just-desserts ending.